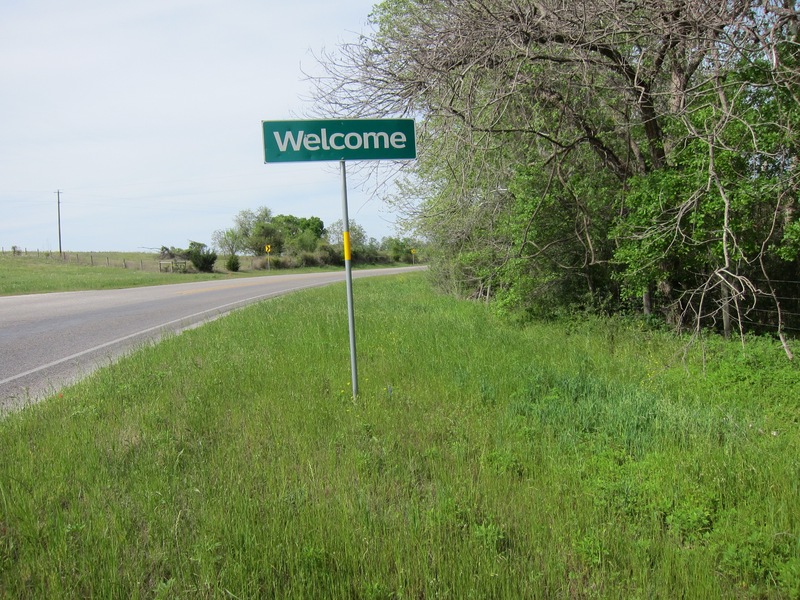 Texas has no shortage of small towns with interesting names — including Welcome, a small unincorporated community in Austin County. Welcome is located on FM 109 between Industry and Brenham, the home of Blue Bell Ice Cream. This tiny if-you-blink-you-will-miss-it spot in the road is definitely worth a visit. The town was settled in the late 1820‘s but remained nameless until 1852 when a German immigrant named J.F. 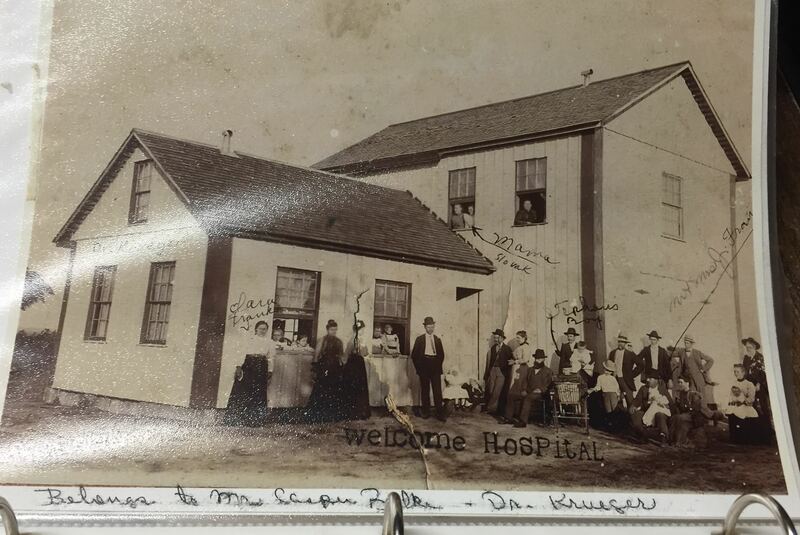 Schmidt christened the town Welcome — a name that he felt reflected the hospitality of the residents. At its peak, the town boasted a population of no more than a couple hundred folks and a few businesses. Today, a little more than a hundred folks call Welcome their home. A friend and I drove through New Ulm on our way to Welcome and pulled over to walk through the cemetery, established in 1853. 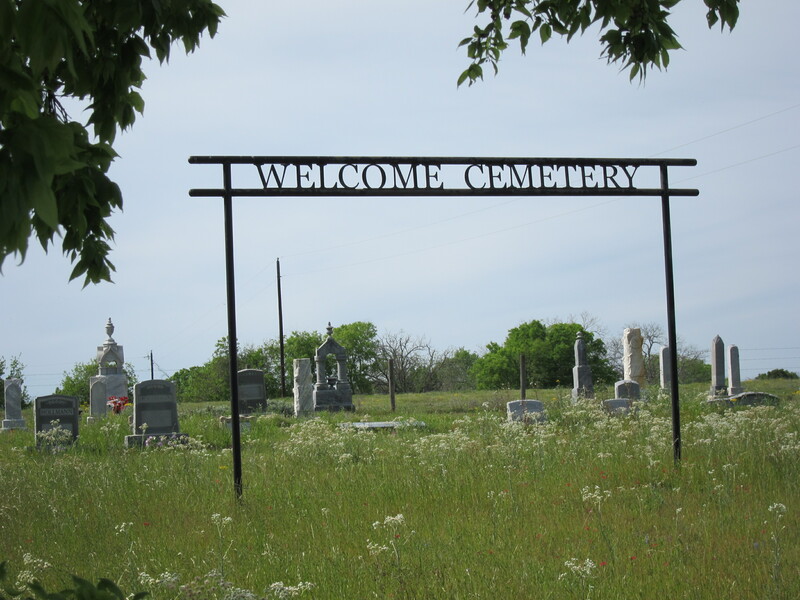 I make it a point to stop by old cemeteries when I travel Texas backroads. You can learn a lot about a place and the folks who settled there by visiting their burial places. As my friend and I walked through the cemetery at New Ulm we headed for the oldest grave markers. That’s when we noticed a pattern — an entire section of graves of children who all died at the turn of the twentieth century. After reading the names and dates on these graves we felt heartsick and wondered what had happened to these children. We talked about how the deaths of these kids must have impacted their families and the New Ulm community in those years. When we arrived in Welcome we stopped by the Welcome Store, established in 1890 and a Texas Historic Landmark. The original two-story building was damaged by a storm in 1900 and reconfigured as a one-story building with two asymmetrical gables, a wide front porch, and a screened door entry. The building pretty much looks the same today as it did when it was rebuilt after the storm. Stepping inside the Welcome Store was like stepping back in time. The place is a fascinating time capsule crammed with tons of interesting details. Leonard and Lynn Wittneben, the current owners, greeted us warmly. This sweet couple raised their family in Welcome and recently celebrated their 50th wedding anniversary. 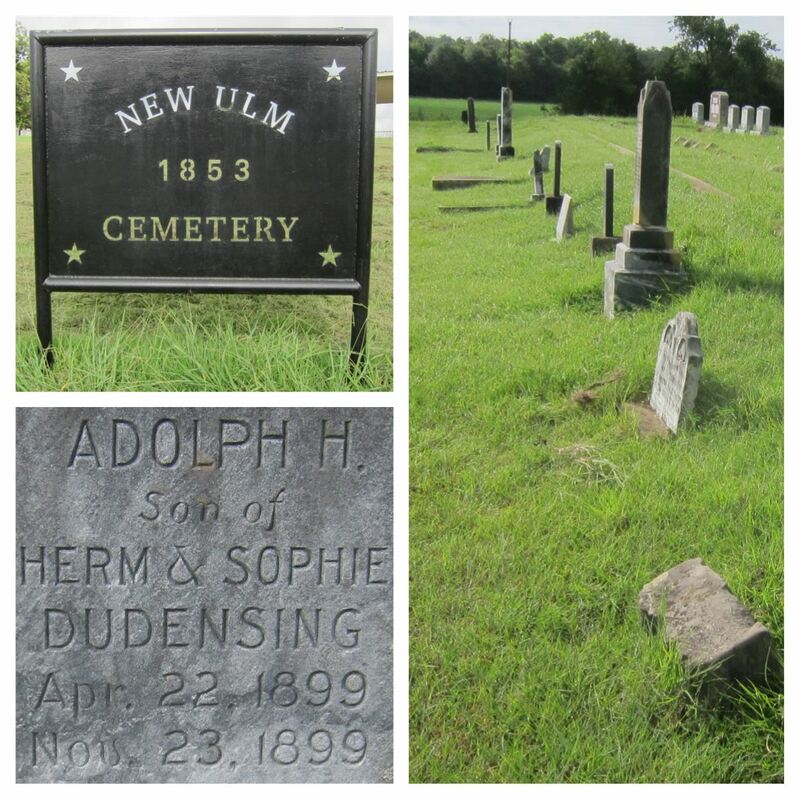 When we told Leonard and Lynn about our visit to the New Ulm cemetery and mentioned the number of graves for kids, Lynn told us that a typhoid epidemic had taken the lives of the children. “You’ll see the same thing at the old Welcome cemetery, the one across the street from the Lutheran church” she said. “There’s a whole section of graves for kids who died during that same epidemic.” Times were hard then. Lynn motioned to Leonard to get their history album, a collection of old photos and stories about Welcome crammed into an old notebook. Welcome actually had a hospital in its early days, and a doctor whose methods later came into question and led to his suicide. We sat with Leonard and Lynn for almost an hour and listened to the fascinating history of their beloved community. When we finally exchanged good-byes, our new friends invited us to stop in again sometime. My buddy and I agreed that Leonard and Lynn are true ambassadors for a tiny community named for its hospitality. They indeed made us feel welcome in Welcome. 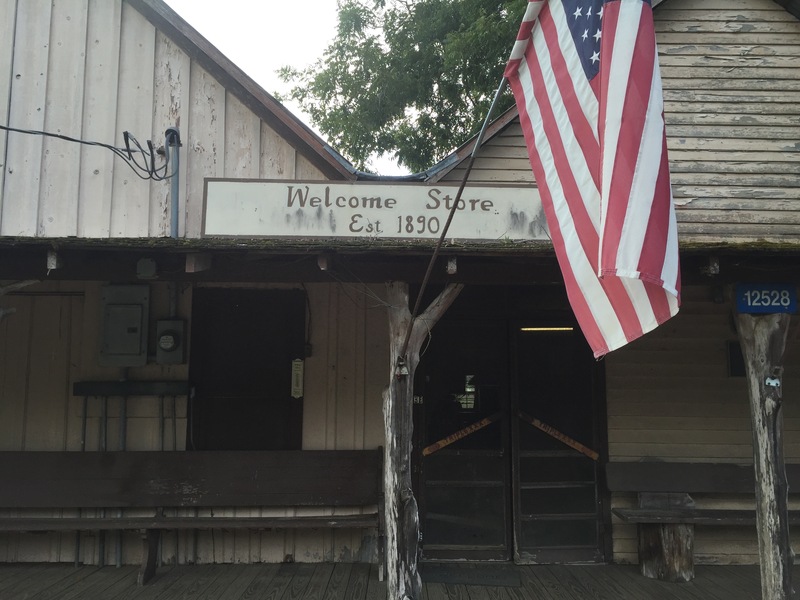 If you are ever anywhere near the vicinity of Welcome, take a moment to stop by the old Welcome Store, a place that has served travelers and residents for the past 125 years. 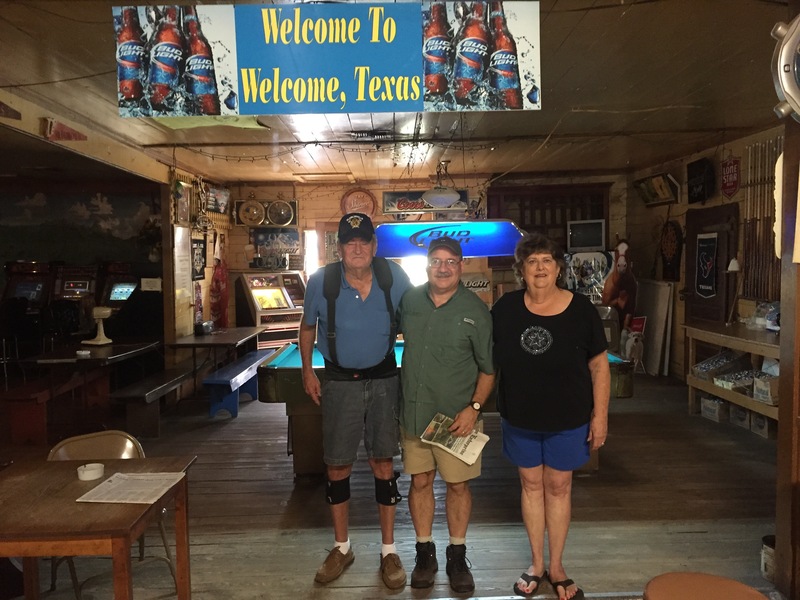 Leonard and Lynn will welcome you and remind you that good-old Texas hospitality is never out of date. Oh, and while you are there, ask Lynn to tell you the fascinating story about their wedding cake! 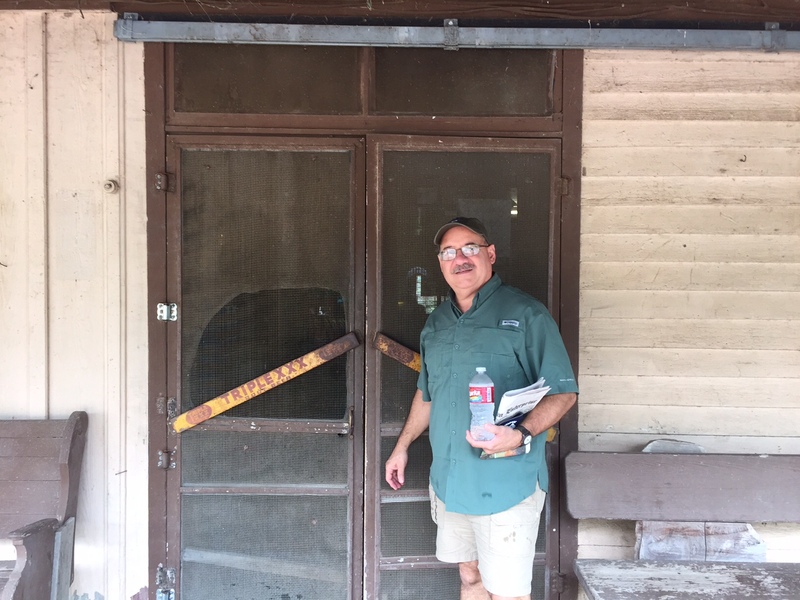 This entry was posted in Small Towns and tagged New Ulm, Small Towns, Texas Historic Landmark, Texas hospitality, unincorporated community, Welcome. Bookmark the permalink. That was a great trip Omar. What an experience!!! Thanks for sharing the adventure with me, Selim. Enjoyed the fellowship.